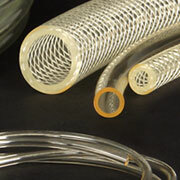 NewAge Industries introduces Silbrade(R) Platinum braid-reinforced silicone hose. 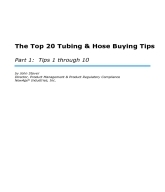 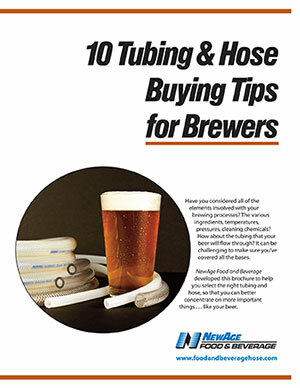 It’s platinum cured for a higher degree of purity, and the hose’s reinforcement allows for increased pressure capabilities over unreinforced silicone tubing. 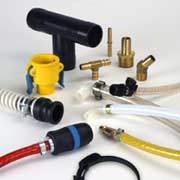 Applications include medical and dental equipment, laboratory uses, blood and biological fluid handling, hot fill systems, beverage and dairy service, appliances, deionized water transfer, thermal protection and electrically-associated equipment. 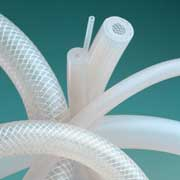 Because Silbrade Platinum is manufactured using platinum-cured silicone thermoset material, it allows a purer flow of product through the hose. 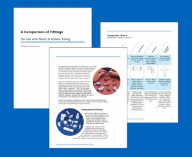 This can be especially important in applications involving food, medicines and those relating to taste or consumption. 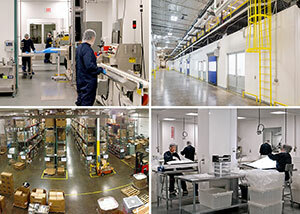 Silbrade Platinum is made in the U.S. and stocked in sizes from 1/4" to 1” I.D. 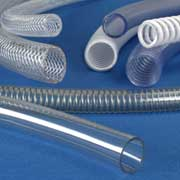 Other silicone products – unreinforced tubing in peroxide and platinum cured styles, medical grades and vacuum rated hose – are available as well. 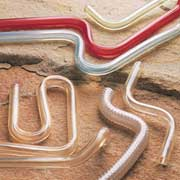 NewAge also stocks barbed fittings and hose clamps in several materials. 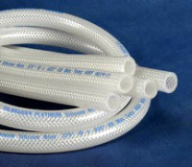 For more information on Silbrade Platinum silicone hose or other silicone tubing, contact the Fluid Transfer Specialists(R) at NewAge Industries, Inc., 145 James Way, Southampton, PA 18966; phone 800-506-3924 or 215-526-2300; fax 800-837-1856 or 215-526-2190; e-mail: info@newageindustries.com; or visit http://www.newageindustries.com/silbrade-platinum-silicone-hose.asp.